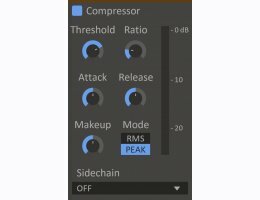 Someone somewhere once said that there are 931 compressor plugins in the world. Well, now there's 932! Compressors help shape the dynamics of the sound both at the initial attack and the sustain tail. Each compressor has their own flavor, and the kHs Compressor tastes sweet.